Adding a related post widget on your blog is a very effective way to engage your reader into your blog.This widgets always take a great part on increasing your readers time into your blog.There are a few options for related posts plugins out there, but the most customizable one is provided by the nRelate. nRelate is a free tool for websites or blog of all sizes and customization is very easy (with no confusing coding on your part) on platforms such as Blogger, WordPress and Tumblr. While nRelate for WordPress is the easiest platform to customize the plugin with, nRelate for Blogger is just as easy but is a little more involved and requires a few extra techy steps, which we will explain in detail throughout this below tutorial..
A related post widget is a widget placed on the end of any post,which shows few posts which are relevant to that post automatically. Check the below screen shot as a demo. No re-directs. just like some other related posts widgets, nRelate does not re-direct any of your internal links through it’s own site, so that you always get credit for all your internal ‘link juice’.This a certainly SEO friendly thing for your blog. You can re-index your site at any time on nRelate database. If you delete certain posts or articles and don't want them to appear as a related post suggestion on your blog, you can simply clear your related posts cache with nRelate’s built-in ‘re-index’ option so their servers can easily re-analyze your site then and generate all new links to related posts. Analytics reporting feature. Everyone who are with the nRelate widget has the access to built in analytics reporting page, which displays all impressions, clicks, and other data so you can measure your increase in page views. Hosted on nRelate’s own servers. Some other related posts widget increase your page’s loading time, but nRelate is hostedon its own servers so there is no such problems.It doesn't affect your site loading time by anyhow. Six different Layout styles to choose from like Polaroid , ToonBarn , Trendland etc. Go to partners.nrelate.com and register. You’ll have to register if you want to customize the plugin for Blogger. Then go to the Install tab and select your platform as: Blogger. Now enter your site’s URL (make sure to include http:// and .blogspot.com) and click Submit. Next select if you want to display the plugin on posts as well as on the homepage, or only on posts. Once you click Install, your Blogger dashboard will then open in a new window or tab. Click Add Widget and then Save. You can customize your settings through the nRelate Partners Site in Manage Settings > Blogger where they give you a countless number of customization options. Here, you can choose your thumbnail size, how many thumbnails you want to display (up to 10), as well as how far back in your archive you would like to go for related posts. 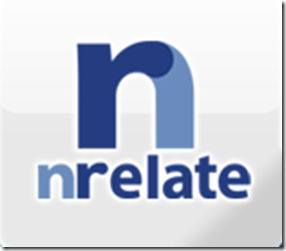 They give you the option to support nRelate by displaying their logo within the plugin. You can also choose to display sponsored ads within the plugin if you want to make some extra money with your site. Additionally, you can choose to share related posts from external sites from your blogroll or any other sites you wish. Go to Manage Settings > Blogger > Blogger Style Gallery. Go to your Blogger Dashboard > Design and click Edit on the ‘nRelate’ box. An edit box should pop up. Don’t panic if you can’t see the widget right now on your blog as it is hosted on nRelate’s own servers, analyzing your site’s content can take sometimes up to two hours, specially if your site is relatively dense in content. 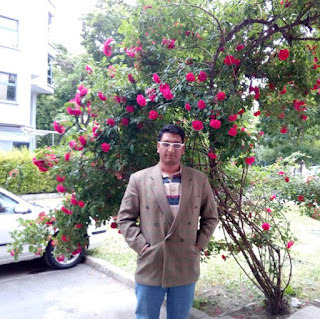 That's all.Hope you liked nrelate related posts widget for blogger.If you have any trouble with installation feel free to comment.Those who have installed successfully do not forget to share your experience with us. I'm still studying how to integrate Nrelate in my blog but this really helps. I am not so techi so i just let this plug ins go. I just Install this widget and its start after 20 min , But show on my sidebar not below the post :( then i delete it ) any solution ? First install it again and inform us with your blog url.